Russian Prime Minister Dmitry Medvedev has offered condolences to French Prime Minister Manuel Valls on numerous deaths in Friday's series of terrorist attacks in Paris and called for giving a joint response to terrorists. "There is no and cannot be any justification for terrorist crimes. 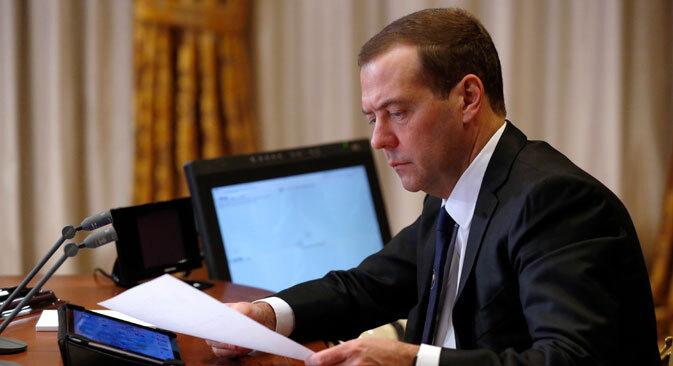 The tragedy in Paris prompts us all to unite in combating extremism and firmly and resolutely stand up against terrorist raids," Medvedev said in a telegram posted on the Russian government website.